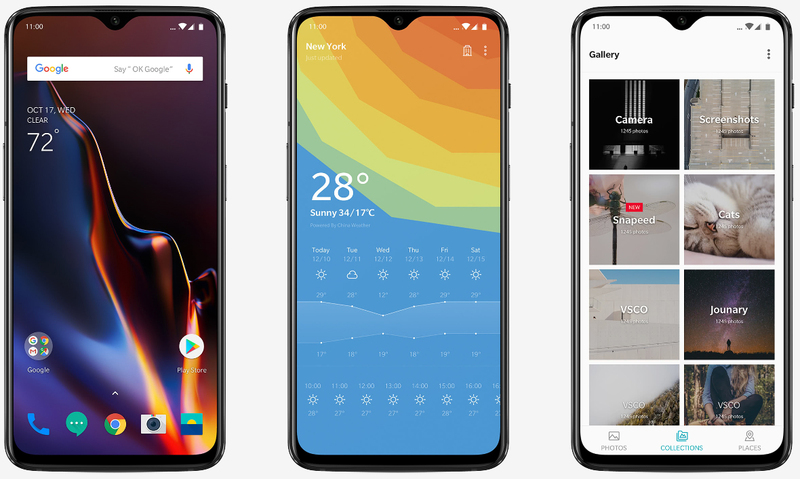 Why it matters: OnePlus continues to demonstrate a winning formula, pairing attractive aesthetics with meaningful features and high-end hardware in a package that's far more affordable than most other flagships on the market. If you're in the market for great value without a ton of sacrifices, the OnePlus 6T is certainly worth a look. OnePlus at an event in New York City on Monday announced the OnePlus 6T, the company’s second-half flagship for 2018. The handset packs a 6.41-inch AMOLED display with a resolution of 2,280 x 1,080 pixels and a teardrop notch that’s covered in Corning Gorilla Glass 6. It’s powered by Qualcomm’s octa-core Snapdragon 845 SoC, Adreno 630 graphics, up to 8GB of RAM and your choice of 128GB or 256GB of onboard storage. As OnePlus previously shared, the handset features an in-display fingerprint sensor. The company says it takes about a third of a second for the scan to take place and the phone to unlock although in testing, TechCrunch found it was closer to one second or longer. Notably, you have to place your finger in a specific position on the screen; the entire screen isn’t a giant fingerprint reader, as some might assume. To make room for the embedded fingerprint reader, OnePlus had to ditch the 3.5mm headphone jack. Around back is a dual camera array with a 16-megapixel Sony IMX 519 main sensor and a 20-megapixel Sony IMX 376K secondary sensor. Both feature an f/1.7 aperture lens. Up front, you get a single 16-megapixel Sony IMX 371 sensor with an f/2.0 aperture lens. The 3,700mAh battery with Fast Charging technology is respectable in this day and age. OnePlus claims the handset can last "through a day's work with battery life to spare" although the specs list doesn't explicitly state expected battery life. Notably, however, there is no wireless charging so you'll still need to rely on a wire for juice. Also lacking is proper waterproof resistance certification, features you'll more than likely find on more expensive flagships. It ships running OnePlus’s OxygenOS running atop Android 9 Pie. Pricing starts at just $549 for a model with 6GB of RAM and 128GB of storage. That’s not quite in the mid-tier range but it’s far more affordable than most other flagships. Look for it to ship on November 1.